DX MIRRORWORLD WATCH SET is now available for pre-orders! 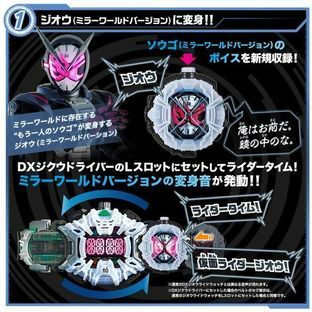 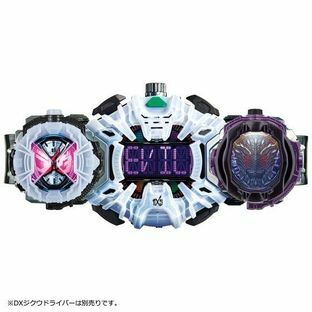 From Ryuki's chapter aired on 3rd Feb (Sun) of "Kamen Rider ZI-O" which is now being aired in Japan, "ZI-O RIDEWATCH (Mirror World Version)" and "ANOTHER RYUGA WATCH" are now launched as a set. 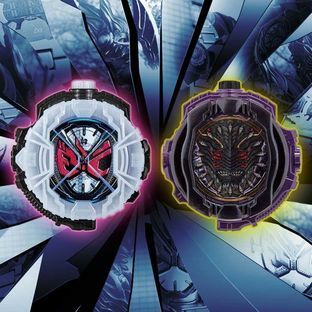 "ZI-O RIDEWATCH (Mirror World Version)" includes the transformation sound effect of Kamen Rider ZI-O (Mirror World Version) and the dialogue sound effect of Sougo (Mirror World Version). Insert the RIDEWATCH into the L-slot of "DX ZIKU DRIVER" (sold separately) and turn the driver 360° around to enter RIDER TIME of Kamen Rider ZI-O (Mirror World Version). 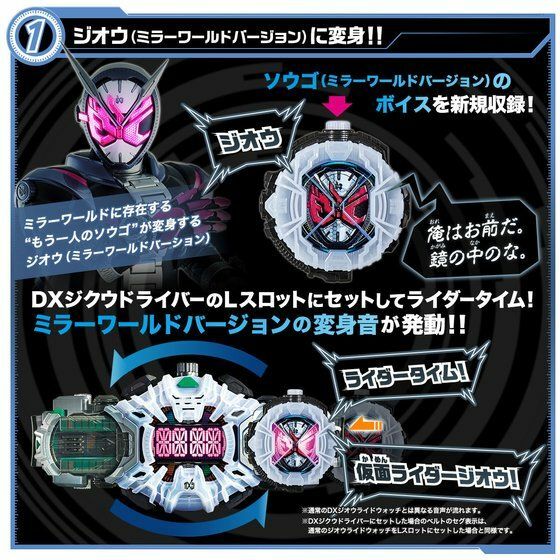 The LED will light up, and the transformation sound effect "ライダータイム！仮面ライダージオウ！" identical to the one in the show will be activated. 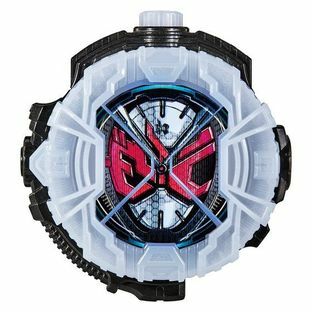 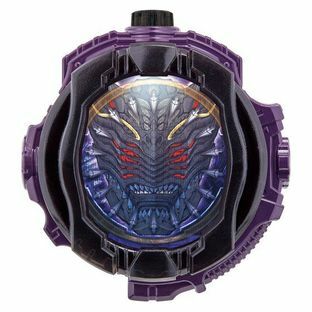 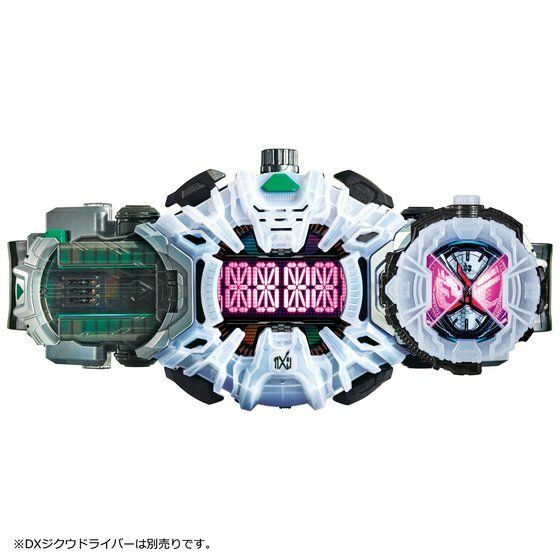 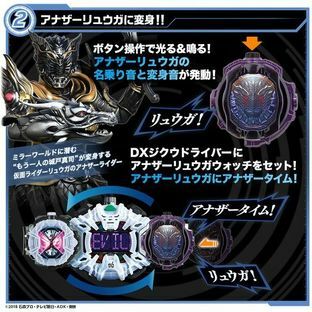 As for "ANOTHER RYUGA WATCH", press the button at the top to activate the LED light and sound effects such as "リュウガ！" which announces the name of the Rider. Insert into "DX ZIKU DRIVER" (sold separately) and turn the driver 360° around to enter ARMOR TIME. 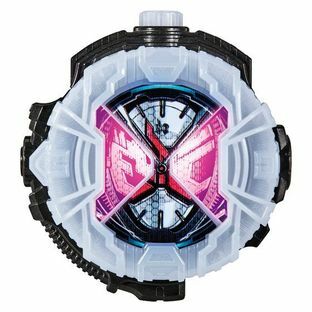 The LED will light up, and the transformation sound effect "アナザータイム！リュウガ！" will be activated.